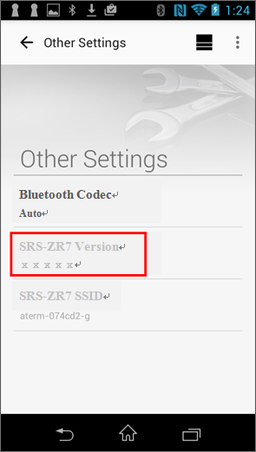 Firmware Update for Personal Audio System "SRS-ZR7"
Do I need to download it? This update utility is not necessary if your personal audio system has already been updated to firmware version 5.03. There are two ways below. 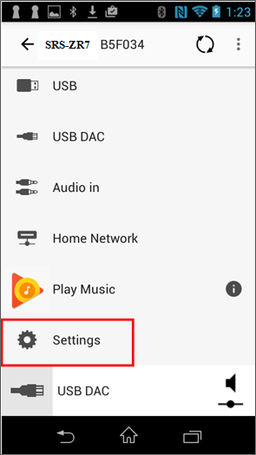 How to confirm using “Sony | Music Center (SongPal)” application. How to check using a personal computer. 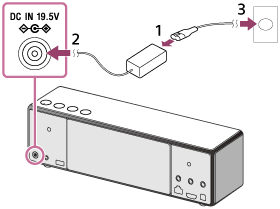 Software Version, Model Name and Device name, Connection Type, Internet Access, SSID, and Security Method are samples. Tap and hold the UPDATE/WPS button until you hear beeps. When the software update starts, the UPDATE/WPS button starts flashing. All the function LEDs are lit up? The software update failed. Press the (on/standby) button to turn off the speaker, then turn it on again.Make sure the speaker is connected to the internet and the UPDATE/WPS button is lit, then start updating again. The software update failed. 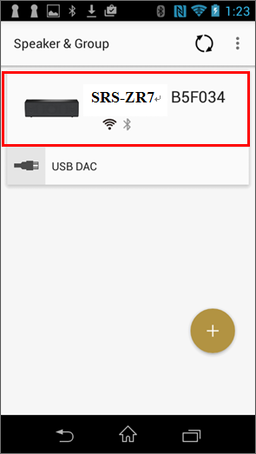 You can do the firmware update for personal audio system via USB flash drive. Windows® 8.1 - please use it in desktop mode. Recording Media:USB flash: with a capacity of more than 256MB - Operation is not guaranteed for all USB flash drive. The number of flashes of the UPDATE indicator will change according to the update’s progress. The UPDATE indicator flashes four times at first, and decreases by one flash, then turns off when the updating is completed. Do not remove the AC power cord until completing the update. Updating normally takes 3 to 10 minutes. Close all other windows and programs you are running apart from this page. Read the terms and conditions on this page and accept them by checking the tick box. Download the firmware update. The file SRS16002.UPG , 133 MB (139,788,480 bytes) will begin downloading. Copy the UPDATE folder to the USB flash drive. After the POWER indicator lights green, insert the USB flash drive to USB slot of the speaker. Press and hold UPDATE/WPS button, and immediately tap and hold FUNCTION button. Then keep the both buttons pressing for 4 seconds until beeps are heard. - When the speaker connects to the network, UPDATE indicator might be lit in orange. Even in this case, please operate it. The USB update starts, the UPDATE indicator flashes in orange - Do not operate the speaker during this procedure. The UPDATE indicator (and Power indicator) will blink several times during the update. 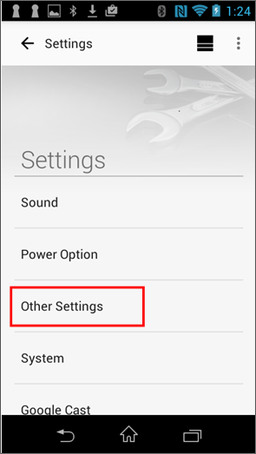 When the update is complete, The UPDATE indicator will turn off and the speaker will enters to standby mode or BLUETOOTH/Network standby mode automatically. Note: When you turn on the speaker for the first time after an update, the UPDATE indicator flashes in orange three times.